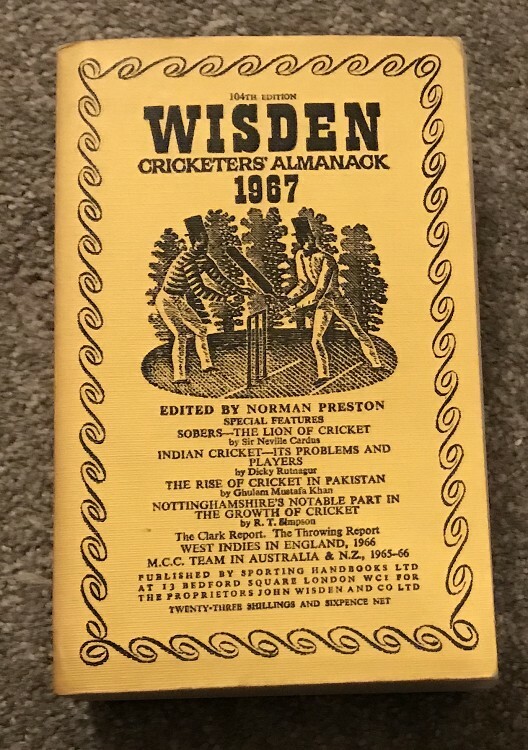 This lot is a 1967 Original Linen Wisden. It is in very good+ condition. This book has very nice bright yellow covers, no spine bowing and very nice inside, it is very hard to find a fault , a pencil price inside and the tiniest of ruffling to the base of the front cover. Easily a 9/10.